Mother's day is a time to give thanks to all of the selfless mother's in our lives. With this holiday quickly approaching, we have complied a list of our favorite Mother's day gift ideas. Hand-crafted, and thoughtful pieces of jewelry are the perfect way for her to display your love. Mother's rings make beautiful customized gifts for Mother's Day. 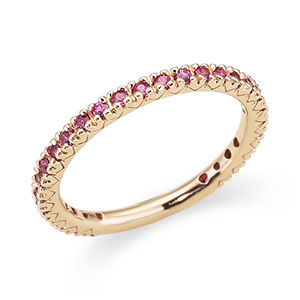 Traditionally Mother's rings feature a birthstone for each child in the family. With hundreds of gorgeous ring styles ranging from traditional and elegant, to ornate and opulent the possibilities are truly endless. Engraveable pendants, or necklaces make the perfect Mother's day gift. 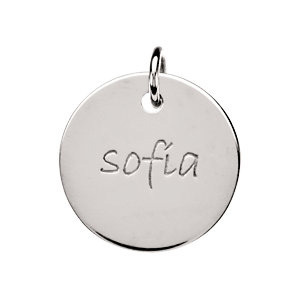 Choose a style that suits her taste, and engrave the names of children and/or family members to create a one of a kind necklace that she will cherish for a lifetime. Mother's pendants are thoughtful and unique gifts. First, select a pendant mounting that compliments her individual style. Choose from hundreds of beautiful pendants ranging from traditional to modern. Next, select birthstones for each child or family member. The finished piece will be a treasured addition to her jewelry collection. Stackable bands are a unique and modern way for her to express her individual style. Choose any combination of designs, and finishes to create a fun and beautiful look that she can change to compliment any outfit or occasion. 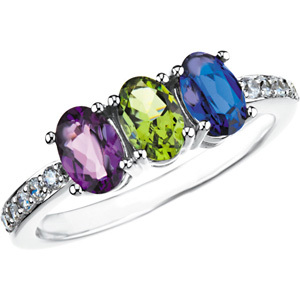 Select bands with a uniform birthstone and stack to create a mother's stackable ring collection. 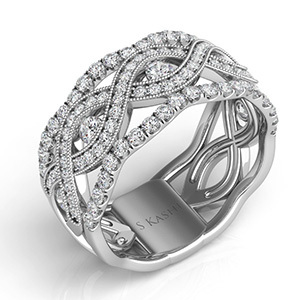 A stunning right hand ring makes the perfect gift for any occasion. With thousands of gorgeous diamond, gemstone, or plain metal bands to choose from the sky is the limit. 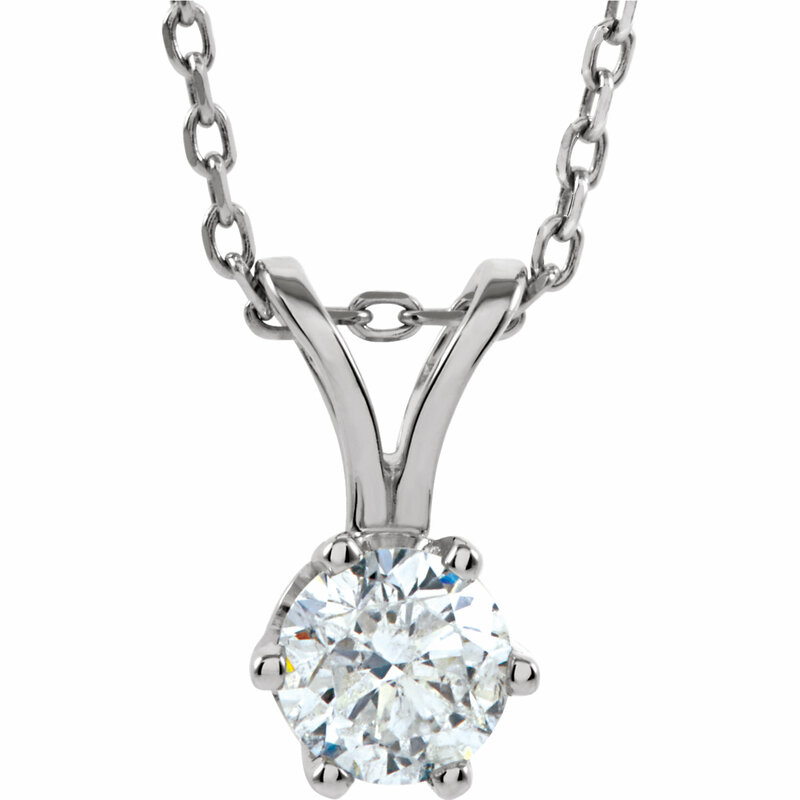 A beautiful diamond pendant makes the perfect addition to any wardrobe. Choose an opulent piece for special occasions, or one that can easily translate from every day to a fun night out. Customize the design to compliment her individual taste, and style. 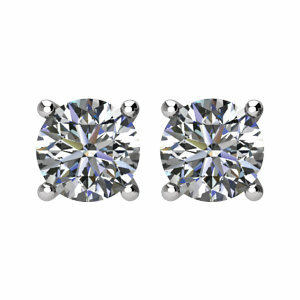 Who doesn't love a beautiful pair of diamond studs? Diamond studs are an absolute staple in any jewelry collection. They are the perfect piece of jewelry to wear during the day, and add a touch of elegance to an evening wardrobe. Upgrade your studs over time with Andrew's Jewelers lifetime upgrade policy. Double the size, or price and just pay the difference on the larger pair. Dress up your studs with a gorgeous pair of earring jackets to create a new and different look! 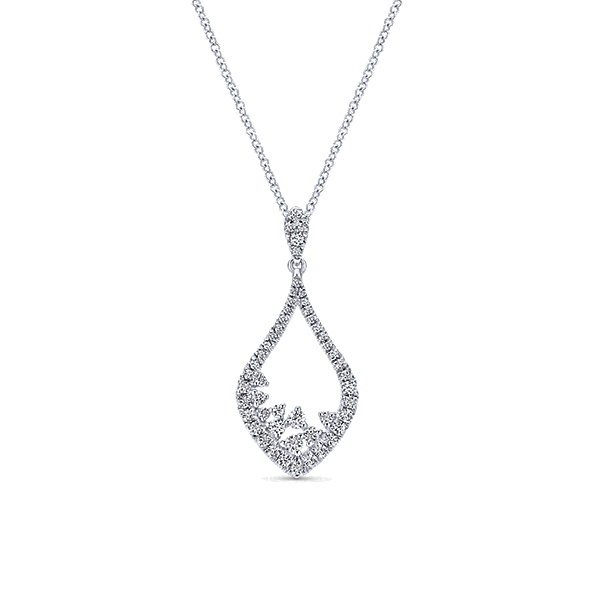 A glittering diamond pendant is the perfect piece to wear with any outfit, to any occassion. Layer with any number of other pendants to create a chic, and unique look. Upgrade your pendant with Andrew's Jewelers lifetime upgrade policy. Double the price, or the size and just pay the difference on the larger pendant. A chic watch is the perfect compliment to any day or night-time ensemble. 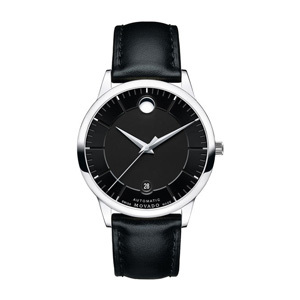 Movado's collection of women's watches features sleek and modern styles in silver and gold tones. Choose a diamond accented style for a luxurious addition to her wardrobe. 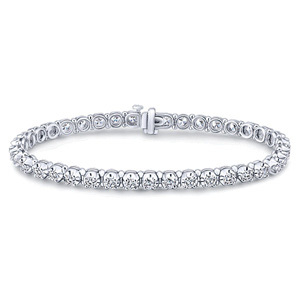 A diamond tennis bracelet is the definition of elegance, and a perfect addition to any jewelry collection. 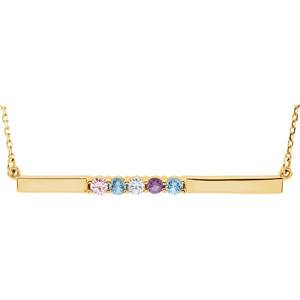 Choose a style with alternating gemstones, to represent children or additional family members.